LAS CRUCES, N.M. — Members of an independent NASA safety panel said they were worried that the Oct. 11 Soyuz launch failure could make safety concerns with the agency’s commercial crew program even worse. The Aerospace Safety Advisory Panel (ASAP), in a previously scheduled meeting at the Johnson Space Center Oct. 11 only hours after the Soyuz MS-10 spacecraft suffered a launch vehicle failure and had to make an emergency landing, said the incident only deepened concerns about the ability of Boeing and SpaceX to adhere to their schedules without jeopardizing safety. “The panel believes that an overconstrained schedule, driven by any real or perceived gap in astronaut transport to the International Space Station and possibly exacerbated by this morning’s events, poses a danger that sound engineering design solutions could be superseded, critical program content could be delayed or deleted, and decisions of ‘good enough to proceed’ could be made on insufficient data,” she argued. Sanders and other ASAP members said they were skeptical that either Boeing or SpaceX could maintain its current schedules for fielding their commercial crew systems, let alone accelerate them to address a potential gap in ISS access created by the Soyuz failure. ASAP member Don McErlean outlined several issues that SpaceX’s Crew Dragon spacecraft needs to overcome, including a lack of a final resolution on the root cause of the failure of a composite overwrapped pressure vessel (COPV) that led to the pad explosion of a Falcon 9 more than two years ago. That is linked, he added, to the use of “load-and-go” fueling of the rocket that would take place, on commercial crew missions, after astronauts have boarded the spacecraft. He also raised concerns about issues with the Dragon’s parachute system, citing anomalies during testing of the Crew Dragon spacecraft and unspecified problems with cargo versions of the Dragon. “Clearly, one cannot risk crew without there being a complete confidence in the parachute design,” he said. 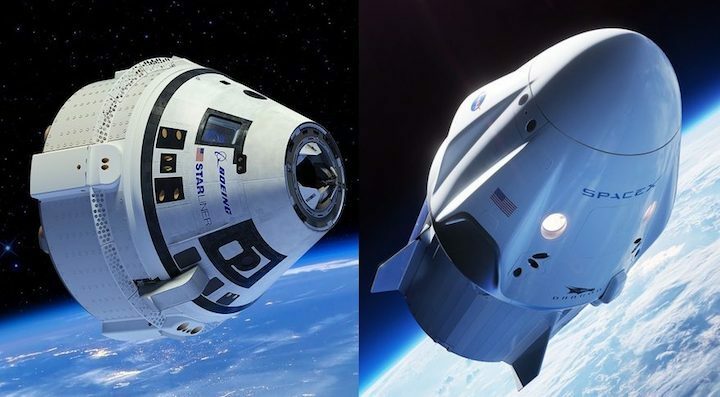 McErlean pushed back against criticism that it was paperwork, and not technical issues, that was delaying test flights of the Crew Dragon spacecraft. That certification “paperwork,” he argued, is actually in the form of critical technical reviews by NASA of the data provided by the vehicle developers. Boeing has problems of its own to overcome, ASAP member Christopher Saindon noted, including investigating a problem with the propulsion system in the CST-100 Starliner’s service module first reported in July. That issue, he said, appeared to be a “harmonic resonance across the system” that caused a “waterhammer” effect, prematurely shutting down the engine during a static-fire test. Boeing, he said, is still working to identify the root cause of that failure and the exact source of that resonance. A third issue he discussed with “unexpected failures” of pyros used to separate the Starliner’s crew module from its service module prior to reentry. “They’re still working to understand why that occurred,” he said. He added that, despite the pyro problems, the overall separation system appeared to work as desired. 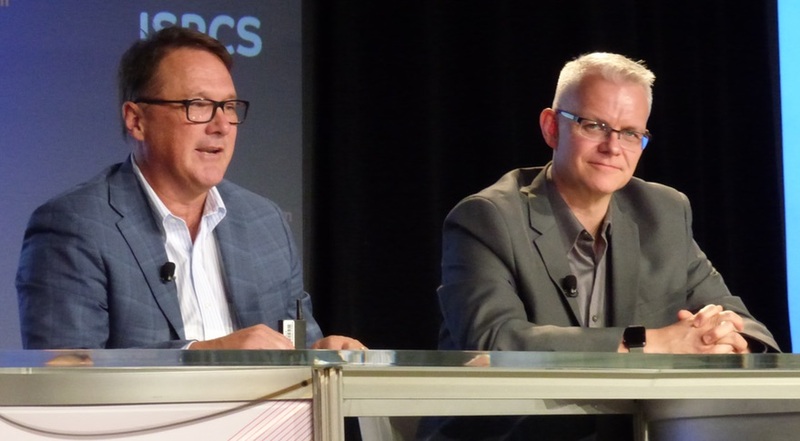 During a panel session later in the day at the International Symposium for Personal and Commercial Spaceflight here, managers of Boeing’s and SpaceX’s commercial crew programs said they were still confident that they could meet their current schedules for testing their vehicles, but would not sacrifice safety for schedule. The latest schedule, released by NASA Oct. 4, calls for an uncrewed test flight by SpaceX in January, followed by a crewed one in June. Boeing would perform an uncrewed test flight in March and a crewed one in August. That schedule, though, represented a delay of two months for SpaceX, and a roughly similar time frame for Boeing, since the previous schedule released in August. Both Mulholland and Reed said they were making progress addressing some of the technical issues raised by ASAP in its meeting. “We discovered an inherent design susceptibility in the launch abort engine,” Mulholland said of the service module hotfire test problem, one that he said only showed up when the entire system was tested. A “really subtle design change” should resolve the problem, he said. Reed didn’t go into details about parachute anomalies alluded to at the ASAP meeting. “We’re constantly learning and going through that data and applying that, ensuring that the ultimate parachute system that will fly for crew, as well as for cargo missions, will be safe,” he said. Neither Mulholland nor Reed suggested that development of their commercial crew vehicle could be accelerated much from their current schedules in response to the Soyuz MS-10 failure, adding they would not cut testing needed to ensure their vehicles’ safety.